This title includes an extensive introduction exploring the origins of the horse breed, from the earliest breeds to the three basic types of primitive horses. It contains over 600 colour photographs of hundreds of horse breeds, including the Halflinger, Shire and Tersky. It features comprehensive guides to the conformation, grooming and transportation of horses and explores the various types of horse throughout the world, including farmyard, dressage and racing breeds. 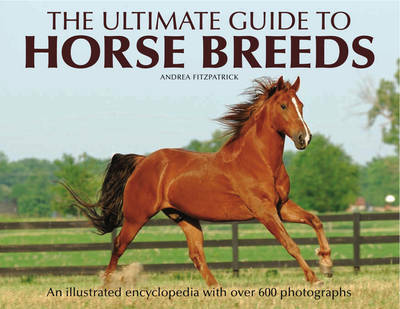 "The Ultimate Guide to Horse Breeds" explores the origins and nature of the horse, from the earliest form to the modern Equus Caballus as we know it today. The book provides valuable advice and guidance concerning all aspects of horse ownership and domestication, including comprehensive guides to stable management, riding and training. Featuring over 600 colour photographs of the most popular and obscure horse breeds, this extensive tome is the perfect guide to the various types of colours of horses from all over the world.